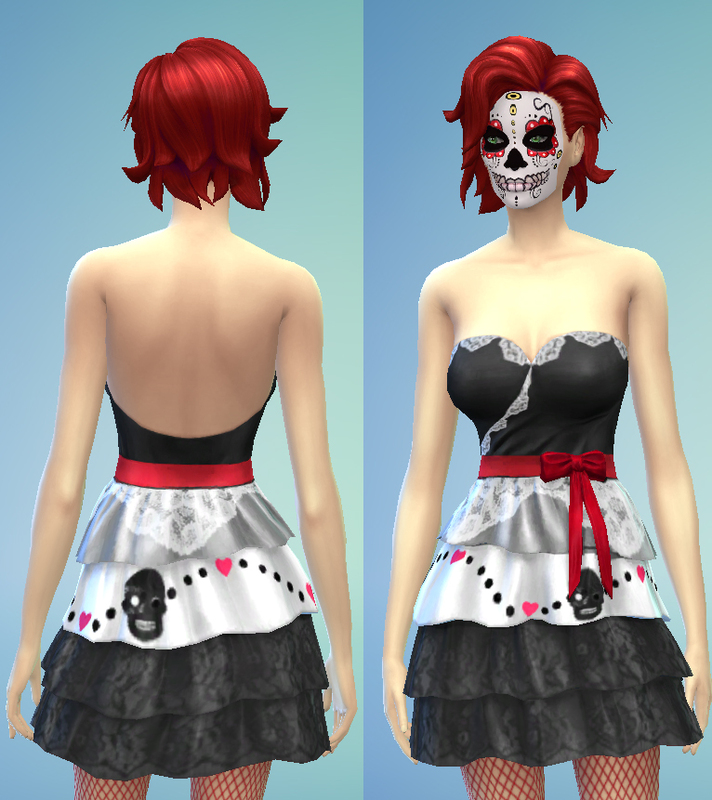 This is a cute little Maxis dress made Day of the Dead-worthy. 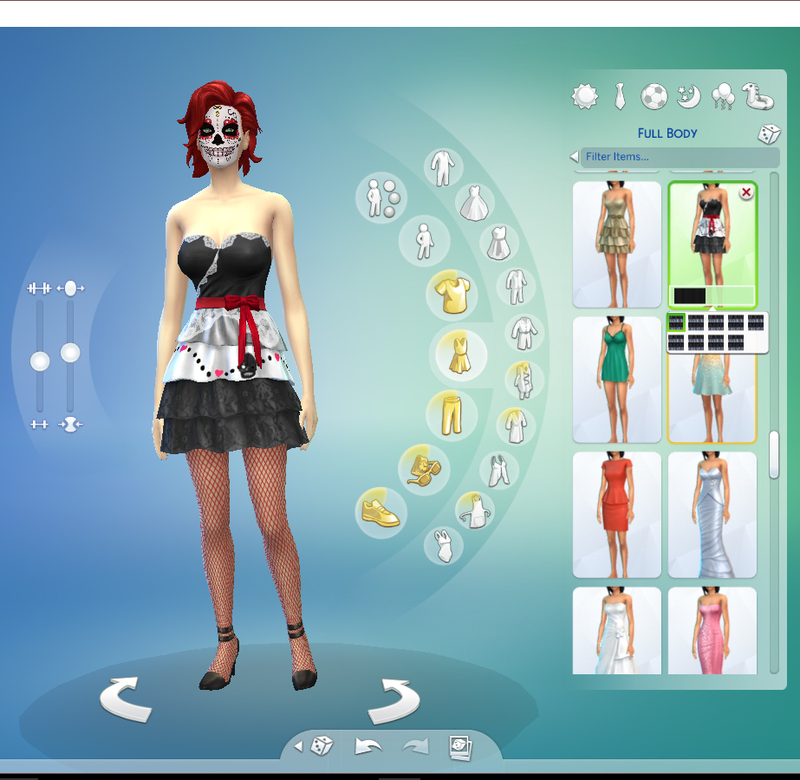 You can find it in CAS by clicking on your sim's clothes, then the full outfit icon and scroll, or further filter by then clicking the dress icon. 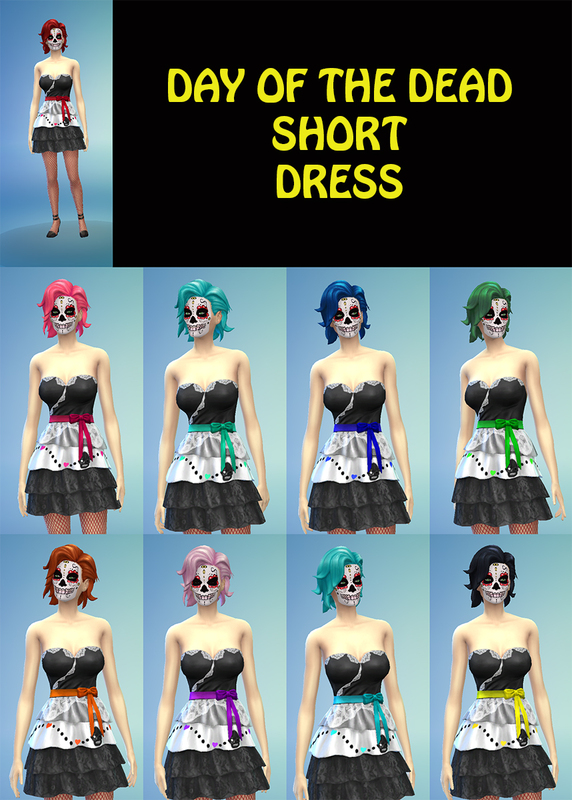 It will not show under every category, but you can find it under any category by clicking the x next to the filter, right above the outfits, in CAS.